DONETSK, December 16. /TASS/. Thirteen residents of the self-proclaimed Donetsk People’s Republic (DPR) have been released in three prisoner exchanges with Ukraine in 2016, however as many as 816 prisoners are still being kept by Ukraine, DPR’s human rights ombudswoman Darya Morozova said on Friday. 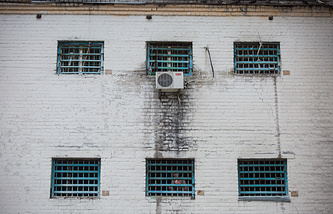 "This year, three prisoner exchanges took place. Thirteen people have been released. As of now, according to our data, the Ukrainian side is still keeping 816 people. Ukraine has confirmed 411 of them whereas information about the other 405 is being verified," the Donetsk News Agency quoted him as saying. According to Morozova, among the 411 people Kiev has officially confirmed to keep prisoners 117 are DPR servicemen, 54 are civilians and 233 are political prisoners. Seven people have no status. Apart from that, the ombudswoman’s office has issued a list of 433 people reported missing as a result of the armed conflict in Donbass. "Regrettably, Ukraine’s law enforcement agencies continue to use illegal methods in respect of the DPR prisoners in violation of the international convention on the treatment of prisoners of war. The ombudswoman’s office regularly received reports about tortures of people kept in Ukrainian prisons, both official and unofficial," she added. Since 2014, Ukraine and the self-proclaimed republics in Donetsk and Lugansk have held 25 prisoner exchanges. The DPR has released 629 people, while Ukraine has released 614. The latest prisoner exchange took place on September 17 when Ukraine released four civilians and the self-proclaimed republics released two men suspected of involvement in sabotage and terrorist activities. Prisoner exchange is among provisions of the Minsk agreements on the settlement of the situation in southeastern Ukraine reached in September 2014. Apart from that, the Package of Measures to fulfil the September 2014 Minsk agreements, known as Minsk-2, that was signed in Minsk on February 12, 2015, envisaged a ceasefire regime between Ukrainian government forces and people’s militias in the self-proclaimed republics in Donetsk and Lugansk (DPR and LPR) starting from February 15, 2015 and a subsequent withdrawal of heavy weapons from the line of engagement. The deal also laid out a roadmap for a lasting settlement in Ukraine, including local elections and constitutional reform to give more autonomy to the war-torn eastern regions.